Our hunting leases are among the finest in the Southwest. All are very similar in the types of game available, terrain, cover, and pricing structure. One will find some difference in lodging facilities among the leases; however, all are quite adequate and comfortable with indoor plumbing, water, and electricity. Some have central air and heat and are relatively new construction and others are remodeled ranch houses. We do try to keep all facilities in a good state of repair and expect help in this respect from occupants to avoid accelerated depreciation. 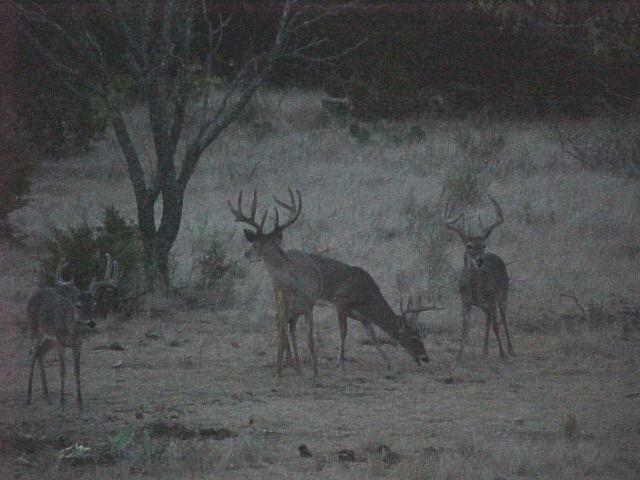 Whitetail deer, Rio Grande turkey, bobwhite quail, dove, and duck are hunted during their respective seasons. Feral hogs are plentiful and may be hunted throughout the year. Hunters are encouraged to harvest coyote, fox, skunk, raccoon, and bobcat; however, absolutely no night hunting is allowed. An occasional rattlesnake can be found and sometimes when you least expect it! Plant species, brush cover, and terrain is typical of that found anywhere in the Texas Hill Country, as we are located in southwestern San Saba County, Texas. Brush cover density will vary from lease to lease and pasture to pasture and will vary somewhat in different areas within pastures and leases. Cedar, mesquite, water elm, sumac, honeylocust, and live oak make up the most prevalent tree cover. Wild persimmon, hackberry, algerita, littleleaf sumac, beebrush, and pricklyash predominate the lower brush cover, and there is an abundance of catclaw, turkeypear, and pricklypear. Just about everything on this ranch sticks, scratches, bites, or kicks. Caution is advised when placing feet and hands, or squatting! We practice an almost continuous brush control program. We strive to be very selective in the brush species removed with emphasis being placed on providing adequate cover for game. 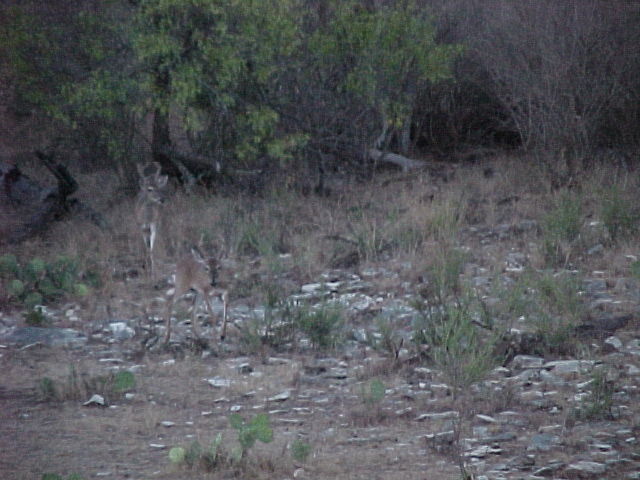 An abundance of preferred browse remains for deer and cattle. For example, beebrush, littleleaf sumac, catclaw, elm, oak, and hackberry are excellent browse and are plentiful everywhere. To harmonize wildlife and livestock production, brush is primarily removed from areas that will enhance grass and livestock production and is left for game cover in areas where brush control would have minimal affect on grass production. Our practices revolve around a philosophy of controlling excessive brush and not one of eliminating all brush. In areas where most brush is removed, large trees with some cover and browse remain. Care is taken to leave brushy areas connected so that game travel is affected as little as possible. With this design, deer for example are able to travel within pastures and between pastures without crossing open country unless they wish. Deep well water, earthen tanks, and running streams abundantly water all this ranch property. In an effort to improve and enhance the total operation, we will continue to build earth ponds and expand well water facilities where possible and when practical. Our wildlife and livestock operations must coexist in harmony for our ranching operation to be a viable entity, and we strive to make the two synergistic and complement one another. Our livestock operation consists of cattle only; we have neither sheep nor goats and adhere to a very conservative stocking rate. Thus, each pasture throughout the entire ranch has a very substantial grass cover and fall rains will always provide abundant forbs production. When available, this provides a very high quality diet rich in protein for both wildlife and livestock. Our ranch is not under high fence but is large enough that we are our own neighbors in most pastures. 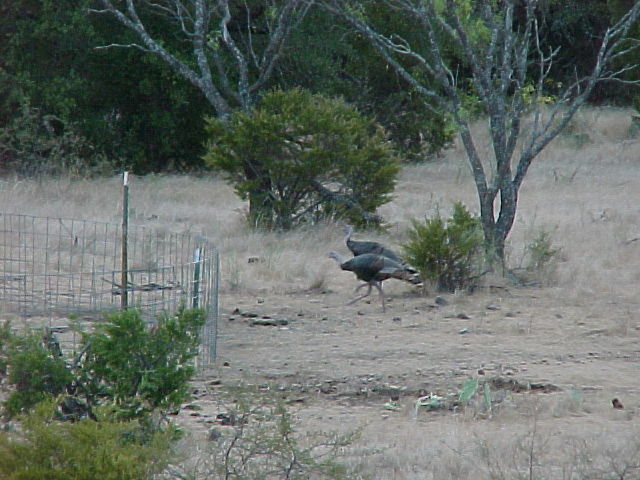 In addition, most neighboring ranches practice some form of wildlife management. 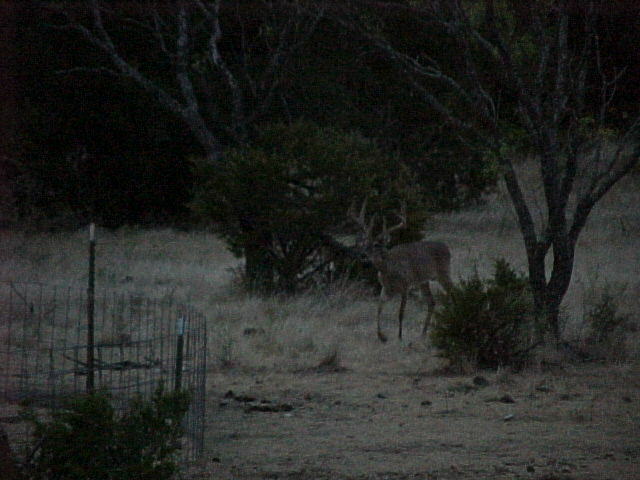 All of our ranch property has been operated under a wildlife management program for approximately thirty years. In this program, our goal is to achieve and maintain a stocking rate for the deer population similar to the stocking rate we support for our livestock. Also, we strive to maintain a 1:2 buck-to-doe ratio. As a result, we feel that the quality of our deer herd far exceeds the average and each year several Boon and Crocket class bucks are harvested (140’s to 160’s). The whole rationale supporting this entire program is to provide an abundant natural food supply of high quality and to allow bucks to reach a mature age before harvesting, thus allowing them to reach their genetic potential individually and to contribute to the gene pool prior to being eliminated. In addition, undesirable breeding stock must be eliminated just as they would be in a successful livestock breeding operation. Through survey of the deer population and assessment of its composition by trained personnel, a recommended harvest of both buck and doe deer is made each year. This is strictly adhered to as near as is possible and practical and requires sincere and dedicated cooperation from hunter groups. It is essential that game laws, ranch rules, the GOLDEN RULE, and the common sense rule be the LAW OF THE LAND for all this to be accomplished. We support this philosophy by pointing out that the roads that enter the ranch run both ways.